The faster you run, the more muscle you're likely to build. Unless you're looking at Olympic sprinters, you're unlikely to see many women with ripped thighs, toned calves and tight butts from running alone. Although running doesn't build muscle to the same degree that strength training does, your legs should change noticeably after a few weeks on the track, becoming fuller, leaner and stronger. 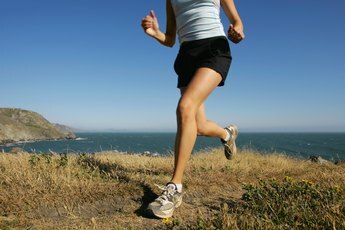 If your goal is to lose weight and your legs end up getting thicker from running, don't be alarmed; this means you're developing your lower body and becoming a more efficient version of yourself. To understand why your legs are getting bigger from running, it helps to understand how muscles grow and develop in the first place. Whenever you put your muscles through intense physical exercise, you cause trauma to the muscle fibers. According to the University of New Mexico, this minor damage activates satellite cells, which go into repair mode to rebuild your muscles bigger and stronger than they were before. 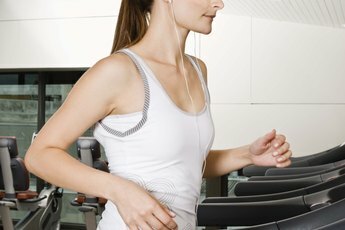 One of the most obvious benefits to running is the amount of calories you're sure to burn doing it. The Mayo Clinic states that you can burn between 600 and 1,300 calories per hour, depending on your weight and the pace you keep up during your run. You need muscular strength in the lower body to propel you forward throughout your run, which translates into muscle growth in the quads, glutes and calves. One of the reasons you don't see many distance runners carrying excess muscle is because they're taxing their cardiovascular systems more than their actual leg muscles. 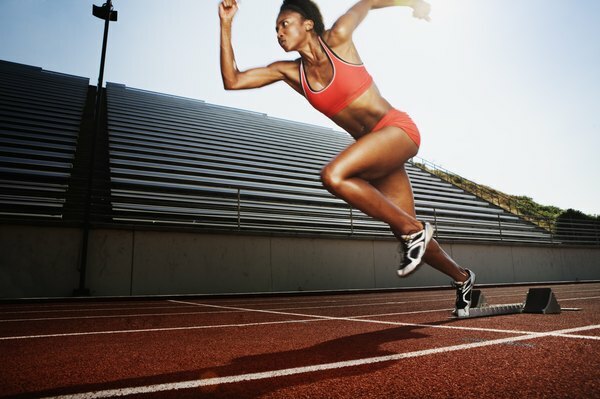 If you want to increase size and tone your legs more, try running at an incline, running at a faster pace or doing full-out sprints, which can help you build an impressive amount of muscle throughout your entire body. Running might not seem like a high-impact activity, but anyone who's done a road race can tell you, those miles add up. Pounding the pavement puts a lot of stress on your joints. Take some of the impact out of your runs by investing in quality running shoes with shock absorption, take rest when you need it, and stretch at the end of every run to encourage blood flow and healing to your exhausted muscles. BodyBuilding.com: Sprint Training Builds Legs, Glutes, Abs and Burns Fat... Fast! How Does Running Affect Your Muscular Strength?